Today we welcome Estelle to the blog for an interview! I always wanted to be a writer but never thought I could be until I got old enough to realize we’re all basically winging it, so you might as well not waste time making choices based on insecurities. Now that I’m nearing the end of writing my second novel I think I can estimate about eighteen months of actual writing, though that’s for a relatively small story. If I were to do something epic, I’m sure I would need longer. There are things that are important to me, things that have hurt me, common human condition type issues, and it’s sort of whatever is front and center for me at any given moment that seems to wiggle its way to the forefront. believe in getting up early, writing before anything else so that’s done, but I also have a day job and kids, so I’ve learned to write whenever I can, sometimes in fifteen minute increments, which is only possible in the editing phase. During drafting I need utter silence and several hour chunks. It’s a struggle, a perpetual work in progress, but I try to think in terms of each thing being its own life. Kid life, exercise life, bill paying life, cooking life. That way nothing has to give, and to be honest, they are all equally important and necessary (though kids take priority in the end no matter what). I don’t much care about a story in and of itself. I care about attaching emotionally to the characters. You could have the most amazing plot ever and if I don’t connect to the people, I won’t be dazzled. Having faith that it would ever shape into something cohesive, coming back to it every day even though I sometimes hated it. Writing a novel takes a ridiculous amount of commitment and tests every aspect of self-doubt there is. Being okay with that is the hardest part. I’ve written three altogether, one of which will never see the light of day. 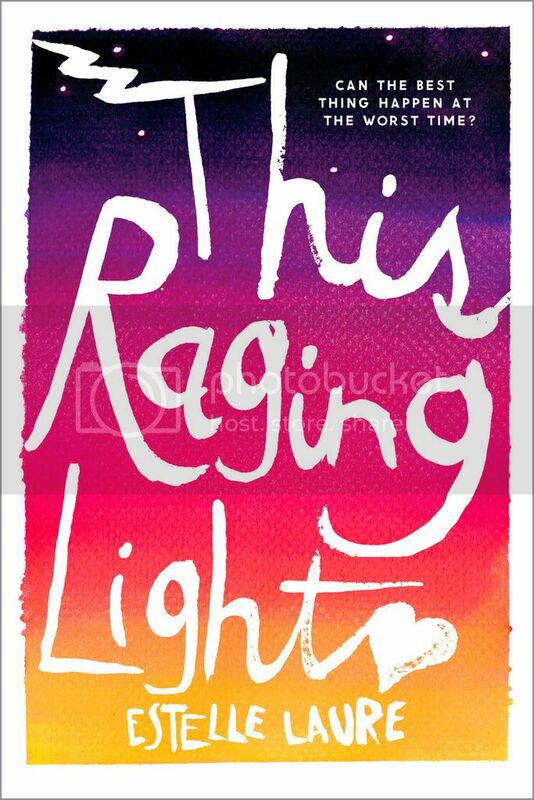 And the one I’m writing now, a companion to This Raging Light is my favorite right now and I have to believe each one will be better than the last. I say Wren because she’s a little sage. While she’s human, she has a connection to something otherworldly, and out of everyone she’s the most zen while still being very much a child. I write at a café sometimes, but it wrecks my back, so I switch between my office desk and my bed. It can be depressing though, to realize you’ve literally been in bed all day. I worked for an agent so I never really considered self-publishing. And then when my boss, Emily van Beek, signed me, she directed the whole thing. Have you gotten feedback from family about your book(s)? What do they think? What are they going to say? They all claim to love it. I’ll never know. I love yoga, baking, Pilates, reading, watching movies, fair weather hiking, sitting on beaches, traveling, and I’d be happy doing just about anything with my kids. Read a lot. A lot! Saturate yourself in your chosen area, then read widely. And pay attention to things you like, things that touch you and how they’re being done. My all time favorite ever book is East of Eden by John Steinbeck, but in the young adult world I think Jandy Nelson is one of the most mindblowing. When I look at how brave, compassionate and free she is, I’m inspired to do the same, even though our styles are totally different. She moves a deep heart place in me. My agent Emily van Beek and my editor Elizabeth Bewley. They’re both to die for. Like I said, a companion to This Raging Light called These Mighty Forces. Super excited! Thanks so much for stopping by today, Estelle. It was great having you here! This one is on my wish list. Can't wait to read it! I loved this book! I definitely felt very emotionally connected with the characters.